These are the veterans that are established for a while and also are recognized as top blogs by other bloggers and the media. These are the challengers who blog for more than a year but have not yet received the public recognition to become a black belt. Let’s have a close look for a great emerging blog. Many blogs only are maintained for a year and then abandoned. The white belts are blogs that have not yet seen their first anniversary and therefore still have to show that they will last. Let’s encourage them by visiting them and giving advice where necessary. After completion of the first year of existence the white belts graduate to green belts. 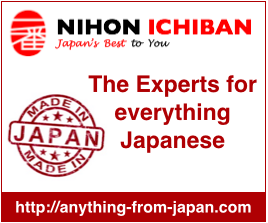 NIHON ICHIBAN – is a blog with a focus on Japanese customs and traditions as well as traditional Japanese craft. Some parts are still under construction. History and Culture is inseparably linked and what is not to be forgotten. August 6th day of remembrance and mourning those who died in Hiroshima. The terrible truth must not be forgotten ever! Is it possible to include NyNyOnline which focuses on Japanese culture, language and music? 🙂 http://nynyonlinex.wordpress.com Maybe it should go into the green belt area? We will be glad to register your blog but for that you need to fill the registration form. Click on the link “Add Yours” next to the number of blog actually registered. This blog has interesting insight of Japanese culture in different views. Hi. I like your website of blogs. I have a blog myself that I think would be a good addition to your website. It’s called “Speak Japanese In English”. It teaches people how to speak Japanese while letting them speak in English. Could you take a look and see what you think?